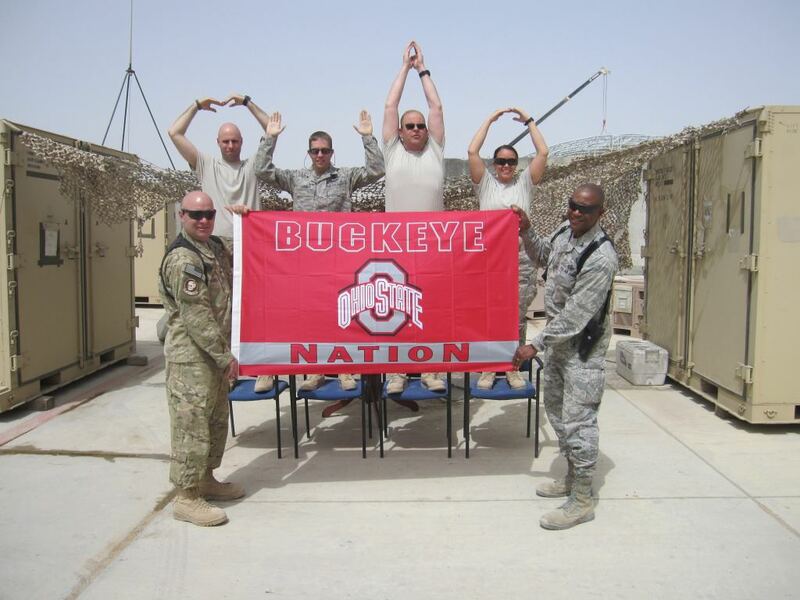 A primary motivation behind The Ohio State University at Mansfield students involved with the Student Veterans of America (SVA) is showing support for the brave men and women who serve our country each and every day, regardless of the time of year. The group assists military veterans with the resources and encouragement needed to succeed in higher education and following graduation. This autumn, SVA chose Care Packages for Troops as their major service project. Deployed members of the military typically need items that cannot be bought where they are, or they crave something homemade, like cookies or candy. Giving veterans a taste of home makes them feel appreciated, whether it is a handwritten thank-you letter or a bar of soap. The Student Veterans of America understand this feeling, because each member is also a veteran or current service member. SVA encouraged students and faculty to donate non-perishable items like toiletries, beef jerky, and trail mix and leave them in one of several donation boxes spread across the campus. The response was absolutely fantastic, and the group soon found themselves sending packages to soldiers stationed in Iraq and Afghanistan. Returning veterans have earned our support and encouragement when they re-enter civilian life, and the Student Veterans of America at the Mansfield campus is there to help when these brave men and women come home.